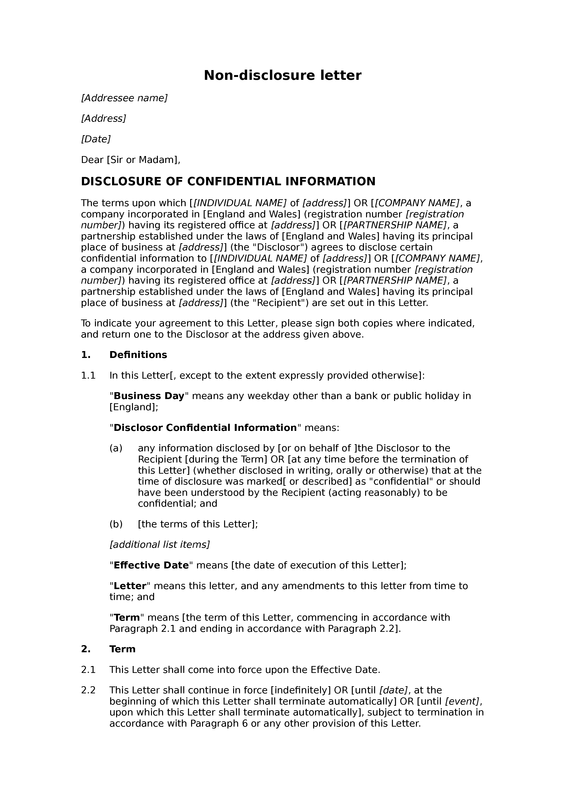 This is our standard one-way non-disclosure agreement in letter form. 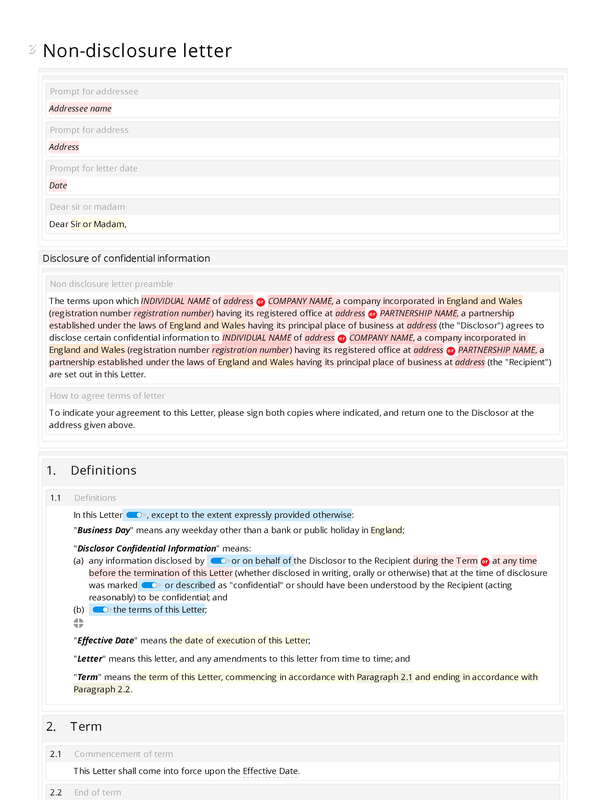 The substantive provisions of the letter are identical to those in the agreement. 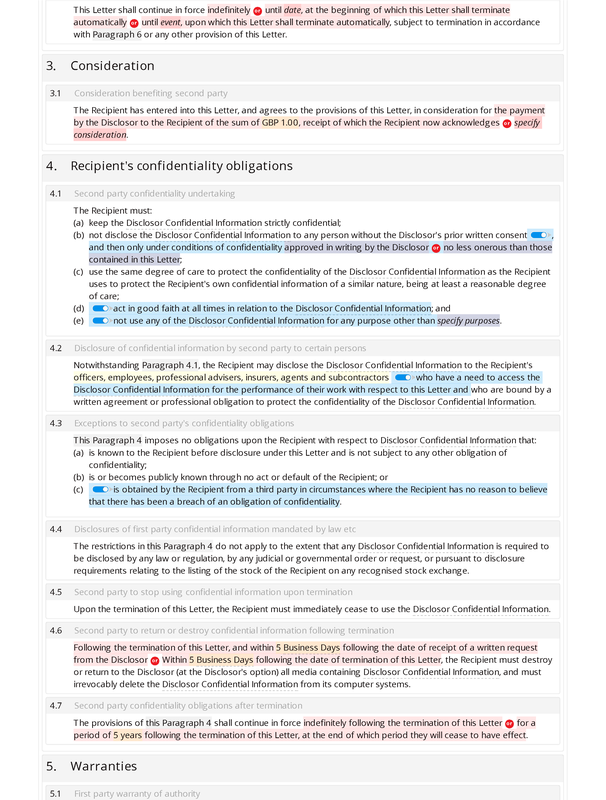 Those provisions include restrictions on the use of disclosed information, restrictions on the disclosure of the information, exceptions to the restrictions (for example where information has become public by the actions of a third party) and rules governing the treatment of the information upon and following the termination of the contract. 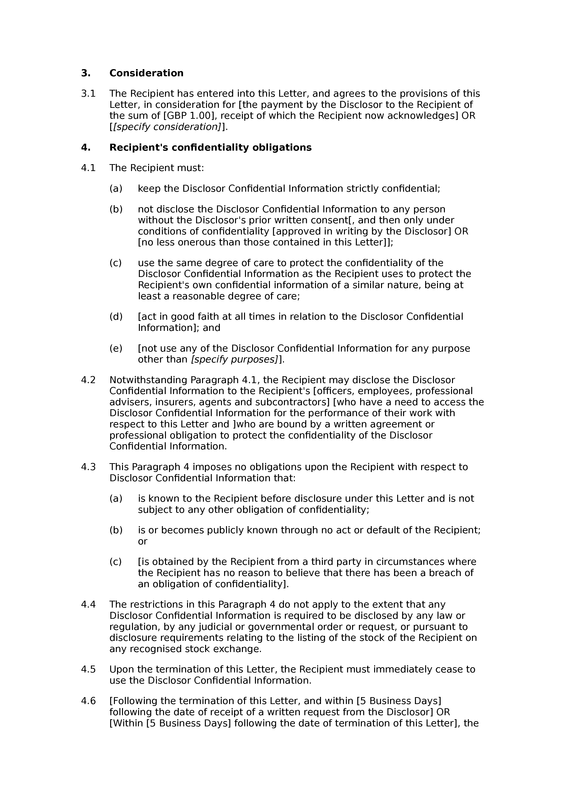 See also our premium unilateral non-disclosure letter.